A wooden fence can be a wonderful addition to your front lawn or back yard. It has a natural, refined appearance that can come in many different styles and shapes with both elegant and rustic appeal and everything in between. It’s therefore important to make sure that your wooden fence is able to withstand time and the elements so you can enjoy it for years to come without having to perform otherwise unnecessary fence repairs. 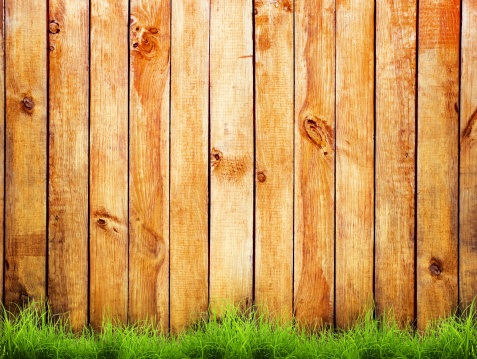 The first way you can ensure your wooden fence lasts is to use a strong type of wood initially. Your budget and style preferences will play a role in what your options are, but there are still a number of lower-cost options that can provide durability. Cedar and redwood are the most resistant to rot and decay and are quite sturdy, offering an excellent baseline when selecting fence materials. These woods also contain natural oils that help retain moisture and make them unappetizing to insects. Wood that has been pressure-treated and/or administered chemical preservatives will have a greater longevity as well. For fence posts and gates, consider wood with a high grade to provide stronger supports. A wooden fence that can retain its inherent moisture can last longer and avoid dry rot. However, this does not mean a fence should get overly wet. If you use sprinklers, try to position them so as little water sprays on the fence as possible. Additionally, keep bushes and vines from entangling around parts of the fence. The plants both put extra weight on the fence and can impart excess moisture. This is the same reason soil should not make direct contact with the fence posts. Concrete holders or plastic caps can be used to protect the part of the post that goes into the ground. Lastly, if you want to incorporate any metal, like for gate hinges, galvanized or stainless steel are the best options since they won’t rust or warp the wood. A wooden fence needs to undergo maintenance around every three years. It must be cleaned of mildew, have any decaying parts replaced or repaired, and the surface repainted or stained. In cases where you do not wish to have a painted fence—for instance, if you prefer the natural appearance—then a clear sealant has to be applied annually. Products with UV inhibitors will also prevent sun exposure from draining the natural colour. This is all generally applicable advice, but there are more specific approaches that can be undertaken depending on the exact material and form of your wooden fence. This is why consulting with a fencing contractor is one of the best ways to understand how to make your fence last its full lifetime—up to 10-15 years if treated right. Total Fence Inc. is one of the top fence installation contractors in the Greater Toronto Area. Our experts can walk you through the ins-and-outs of fence maintenance and repair. Contact us at 416-239-5362 to speak with a consultant and learn the best way to ensure the longevity of your wooden fence.